Imagine the DNA that makes up your genes as the raw footage of a movie. The exons are the scenes used in the final cut, whereas the introns are the outtakes—shots that are removed, or spliced out, and therefore not represented in the finished product. Despite their second-class status, introns are known to play a variety of important roles. Yet these activities are primarily confined to the period prior to splicing—that is, before introns are separated from their nearby exons. 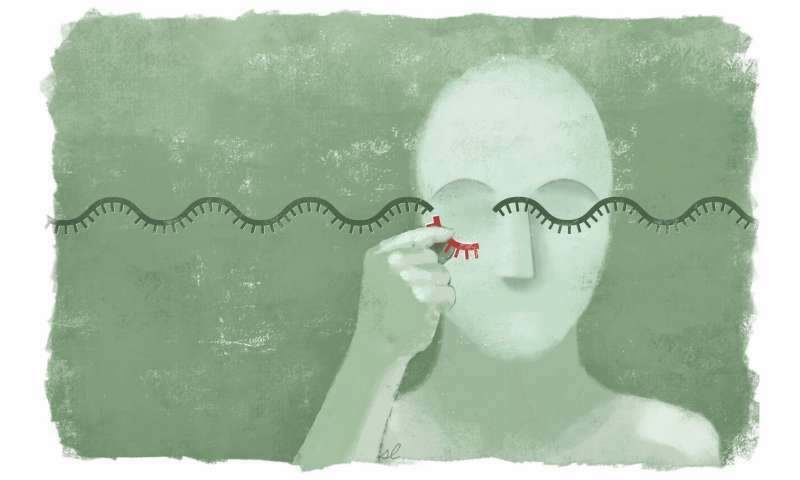 After splicing, some introns can be whittled down and retained for other uses—part of a group of so-called "non-coding RNAs." But by and large, introns have been thought to be relegated to the genome's cutting room floor. Bartel and his Whitehead Institute colleagues, including world-renowned yeast expert Gerald Fink, now add an astonishing new dimension to this view: Full-length introns—that is, those that have been cut out but remain otherwise intact—can persist and carry out useful biological functions. As reported in their Nature paper, the team discovered that these extraordinary introns are regulated by and function within the essential TORC1 growth signaling network, forming a previously unknown branch of this network that controls cell growth during periods of stress. The researchers identified a total of 34 of these unusually stable introns, representing 11 percent of all introns in the yeast, also known as Saccharomyces cerevisiae. Surprisingly, there are very few criteria that determine which introns will become stable introns. For example, the genetic sequences of the introns or the regions that surround them are of no significance. The only defining—and necessary—feature, the team found, is a structural one, and involves the precise shape the introns adopt as they are being excised from their neighboring exons. Excised introns typically form a lasso-shaped structure, known as a lariat. The length of the lasso's handle appears to dictate whether an intron will be stabilized or not. Remarkably, both yeast and introns have been studied for several decades. Yet until now, these unique introns went undetected. One reason, Bartel and his colleagues believe, is the conditions under which yeast are typically grown. Often, researchers study yeast that are growing very rapidly—so-called log-phase growth. That is because abnormalities are often easiest to detect when cells are multiplying quickly. He and his colleagues decided to grow yeast under more stressful circumstances, and that is what ultimately led them to their discovery. Although their experiments were confined to yeast, the researchers believe it is possible other organisms may harbor this long-overlooked class of introns—and that similar approaches using less-often-studied conditions could help illuminate them.